Bangladesh University of Engineering and Technology (BUET) have published it’s admission circular for the session 2016-17. Admission seekers who passed SSC in 2013 or 2014 and HSC in 2015 or 2016 will be able to apply for the admission test. Those who applied for the admission before in the university will not be able to apply again this time. To apply for the admission test of BUET, admission seekers need have at least GPA 4 in SSC or its equivalent exam. In the HSC and its equivalent exam, it is required to have at least 24 points combined in Mathematics, Physics, Chemistry, Bangla and English to be able to apply for Admission test. For English medium students, it is required to pass O level having ‘B’ grade in Mathematics, Physics, Chemistry and English and A level having ‘A’ grade in Mathematics, physics and Chemistry. Same rules will be applied for foreign students. Note: Among all the applicants, 9000 will be able to sit for the admission test. The list of candidates who can sit the admission test will be published in the university’s website or in the notice board of the university. This 9000 will be selected by the total number of the candidates got in Mathematics, Physics and Chemistry in the HSC and its equivalent exams. To apply, visit www.buet.ac.bd and fill online form carefully. A recently taken colored picture and scan copy of signature will have to be attached in the form. Image size for the picture is 300×350 pixel (max 75kb) and signature is 300×80 pixel (max 20kb). A serial number will be given after the submission of the form. Then using this serial number, you have to apply and pay application fee via Teletalk mobile. The application fee for A unit is 600tk and for B unit is 700tk. After the university publishes the list of candidates, selected candidates will be able to download admit card from the university’s website. This Admit Card needs to be printed in A4 size. Online application will start from September 15 and eligible candidates will be able to apply till September 24. The last date of paying application fee is September 25. The list of applicants who can sit for admission test will be published on October 3. Admission test will be held on October 22. 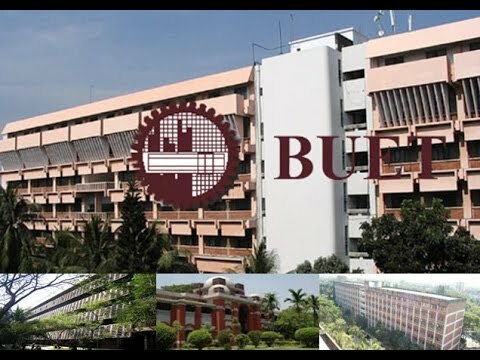 Click here for more information about BUET admission circular.